Jake Jolley had one of those over 60 birthdays on January 6. Feb 3rd & 4th – E. MO Dist. Meeting in Rolla. Carl, Scott, Ed and Sue Mustermann and Ken Oster will be attending. Soap Box Derby special event – Rick McKernan has nothing to report now on the Derby race at Whiteman AFB. New Member recruitment event – No report today. Feb 2. Recruitment event for young members. The younger member will invite guess for this event at Laser Lanes. Other members can invite younger prospective members as well. Bike Safety May 20th – Mary Dewey will provide more information as we get closer to May. Essay Contest Carl Scott and Mike Connors are working on this. The deadline for essay submissions is February 10..
Oratorical Contest Rick McKernan is coordinating this event. It will take place at the DOC Clubhouse on March 4. He is working with the Hallsville Optimist Club that so far has the only known contestant. Computer Giveaway will take place at the clubhouse on Febr8. 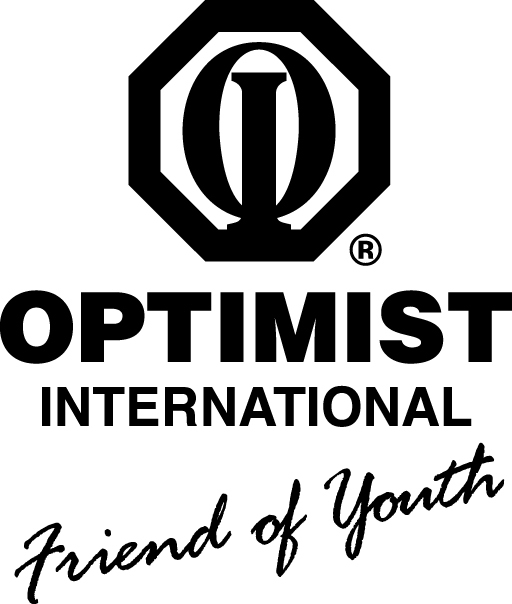 Rick McKernan is coordinating this event with the Hallsville Optimist who is entering a contestant to be held at our clubhouse on Saturday, February 8. The City is expected to deliver the computers on Wednesday, February 15.. Volunteers are needed on Thursday to help set up the computers and do any necessary physical cleaning. Rick will bring a sing-up sheet to our next meeting. Food Bank – Larry Fick reported he and Carl Scott spent 2 hours preparing Buddy-Packs last Monday. The Food Bank distributes an incredible 70,000 Buddy-Packs each Friday to kids in 32 counties in mid-Missouri. The Food Bank is close today in honor of Martin Luther King Jr. Optimist desiring to volunteer outside the Monday afternoon shift can do so by signing up as an Optimist volunteer and go after work Monday evening. Once registered, volunteers can go at any time. Chili Cookoff – Thursday Feb 9 at 6:00 at the Clubhouse $10.00 per person. Max Miller reports three to four chili makers have already signed up but 4 -5 slots are still available. Chili makers get free admission for two and a chance to be a dark horse winner of this year’s Best Chili. Crackers and cornbread will be supplied as well as the possible blueberry cobbler and ice cream to cool the taste buds. Rootin Tootin Chili Cookoff – Jake Jolley is looking for a coordinator/consultant to head up the DOC Chili Team this year. Last year the event raised $90,000 as part of the $1.5 million raised to support Boys and Gils Club operating expenses. The B & G Club expects to complete their $2.5 million new addition by September of this year. Their operating fundraiser goal for this year is $1.8 million. Mike Powell, Ex. Dir of the Greenbelt Land Trust of Mid-MO was today’s featured speaker. He is the son of a biologist and an accountant who completed his law degree. He discover land trust at the Vermont Law School and work for a land trust in Ohio before accepting his current position in January, 2016.ed He explained the role of the land trust is land conservation for the public good but not necessarily for public access. Their mission includes contribution to clear air, clean water and green space. The trust works collaboratively with land owners who want to donate their property to the trust by creating a conservation easement to protect the land from development in perpetuity. The Greenbelt land Trust holds the deeds to three properties. Their precise location can be found of the Boone County Assessor’s website. Spring Valley Nature Preserve is a half acre park on West Broadway. It is a small piece of land in a developed part of Columbia..
Hinkson Creek Nature Preserve is 70 acres adjacent to Capen Park just west of Rock Quarry Road. It contains a riparian forest and is part of a larger area of 600 acres along the Hinson Creek waterway that is protected by conservation easements controlled by various non-for-profit and government agencies. .
Big Sky Nature Preserve is a small piece of land with a Columbia address that is an oak savanna. It affords a beautiful vista of the surrounding areas. However, because of its unique and fragile topography it is accessible to the public on a permission only basis. In addition to owning properties outright, the land trust holds conservation easements on owner occupied properties. Owners, mainly farmers, who wish to preserve their property from future development can voluntarily give up development rights by creating a conservation easement while simultaneously retaining all other rights including living and farming on the property and selling the property. The conservation prevents any future owner from developing the land. It depreciates the value of the land while creating some tax incentives to the owner creating such an easement. Vivian C Purdy C.E. consists of 7 acres along the Hominy Creek in Columbia. The property is located on the south side of Broadway, south of the Broadway Shoppes. The land trust recently coordinated a volunteer effort destroying 400 feet of Honey Suckle along the Hominy Creek on this property. Honey suckle is an invasive plant that secretes a substance through its roots that is toxic to other plants and clean water. Ken and Elizabeth Babcock C.E. This is a 400 acre family that the family wishes to have preserved in its natural state. Birch Cove Farm C.E. is located northwest of Fulton in Calloway County. This is an 85 acre piece of land that was strip mined without any soil reclamation by the mining company. The current own leveled the land, planted it with grass and used it as a sheep farm to reclaim the soil. Over the course of the last decade it is gradually regaining its original soil composition.